Canadian Agricultural Human Resource Council provides nine steps to recruit, select and hire the right people for the job. 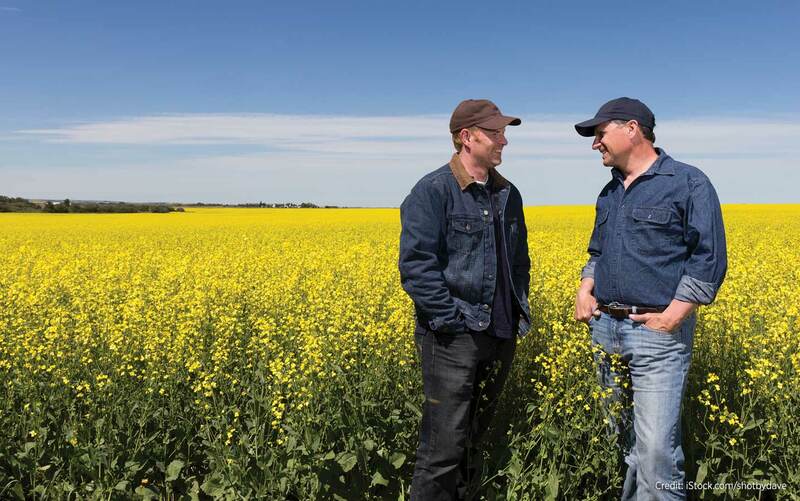 This article is based on a webinar sponsored by Alberta Canola. Hiring workers is one of the most important business activities, says Tracy Biernacki-Dusza, manager of the Canadian Agricultural Human Resource Council’s AgriSkills program. The Canadian Agricultural Human Resource Council is a national non-profit organization to support the HR management needs of agriculture. It outlines these nine steps to recruit, select and hire the right people the first time. Step 1: Define the job. What role am I trying to fill? What skills will the candidate need? Identify key tasks, duties and responsibilities the job will require, and then rank them. This makes it much easier to recruit people who fit the need. Include physical abilities required, financial decisions the person will be expected to make, and other important competencies – including driver’s license, designations, education and specific experiences. Step 2: Develop the selection criteria. List the job-specific capabilities – knowledge, skills, abilities, qualifications and experience – needed to successfully perform the job. You will use these criteria first to define the job in such as way as to attract the right applicants, and then to narrow down the list of applicants to find the most qualified candidates. Make sure these criteria are related only to the job, and not any personal requirements with regard to marriage status and age, for example. Step 3: Create a job advertisement. The goal is to attract the best-suited candidates, not the greatest number of candidates. Provide enough detail to allow potential applicants to decide if they’re well-suited. Spark the interest of potential applicants by outlining the benefits of working with your organization. Include farm profile, job title, location, start date, terms of work, responsibilities, qualifications, working conditions, salary, benefits and where to apply. You are marketing your farm and the job to potential recruits. Step 4: Choose a recruitment method. You could hire from among existing employees, ask existing employees for referrals, network with other producers, neighbours and former employees, place an ad in print and online media, use recruiting agencies, go to job fairs or post on job boards. The HR Council has an online job board called AgriJobMatch. A poll during a webinar on this topic suggested that employers often struggle getting job postings to the right people and generating qualified interest in the position. The online HR tooklit has a template to write an attractive farm profile and goes through the benefits and drawbacks of each recruiting method. Step 5: Review job applications. Assess the amount and quality of applications in response to the job posted. Choose another method if the first methods did not yield the quality of applications needed. If satisfied, go through the applications and choose those who advance to the selection stage. To be legal, these have to be chosen based on alignment with selection criteria only. This is how you whittle down the short list of qualified candidates to find the one you’d like to hire. Go through the applications and assess only the qualifications, skills and other characteristics required for successful performance. Apply this assessment equally and consistently to all candidates. “An appropriate and predictive selection process improves your chances of hiring a high-quality employee,” Biernacki-Dusza says. Step 6: Prepare the interview. The interview is one of the most important elements of the hiring process. In preparation, have three types of questions ready to ask. (1) Job knowledge questions, asking how they’d perform a specific task. (2) Situational questions, asking how a candidate would handle a hypothetical situation that could occur on the job. (3) Behavioural questions, asking how a candidate handled a situation in the past. “Describe a time when you noticed a sanitation issue. What did you do about it?” Set up a procedure to score the answers. By law, an interview must avoid personal questions, especially those that relate to age, marital status, religion or origin. With the interview questions prepared, call candidates who meet the minimum criteria and explain to them the next steps. This will include the interview itself as well as reference checks and any other tests – such as a combine driving session – you may want to conduct. Step 7: Conduct the interview. Greet the candidate, confirm the job on offer, explain the purpose of the interview, the questions to be asked and the scoring procedure. Be consistent. Ask the same questions to each candidate and ask them the same way. Take notes. Focus on answers, not behaviour. Note that candidates may be nervous during the interview. Allow them time to pause and think and give a full response. Complete evaluations as soon as possible after the interview is over. Assign 15-30 minutes after the interview to write down additional notes and score each response. In addition to an interview, employers may want to do a job preview – such as a test to see how well they operate a combine. The preview can also include discussion with current employees to address common work challenges and describe the work environment. Step 8: Check references. When calling references, ask about the candidate’s past performance. Avoid general questions. Instead, ask specific questions relevant to the job: How did they perform while monitoring machines? Was this person detail oriented? Did this person show up on time? Avoid non-work questions. Talk to supervisors as they are most likely to have accurate information. Again, take good notes. Step 9: Hire. The hiring process includes three steps. (1) Prepare the offer letter, which describes the job, wage and hours. Have terms and conditions clearly spelled out. (2) Extend the offer to the candidate. Ensure it is signed before the individual starts. (3) Thank unsuccessful candidates. Wish them well. This creates goodwill and can make it easier to find people the next time you need to hire someone. On the first day, take the new employee through a welcoming and orientation. This will help new employees learn about the job requirements and expectations, and the culture and values of your business. Introduce them to all members of the team. Talk about key safety information, and key aspects of farm management. For more on recruiting, selection and hiring, work through the HR toolkit at hrtoolkit.cahrc-ccrha.ca. Find all supporting documents and more detail on each of these nine points. The site also has links to legal requirements for each province. Take the “What keeps you up at night” quiz. Alberta Canola has posted the webinars at albertacanola.com. Click “Management” in the banner at the top, then “Videos” to find the Canadian Agricultural Human Resource Council series.